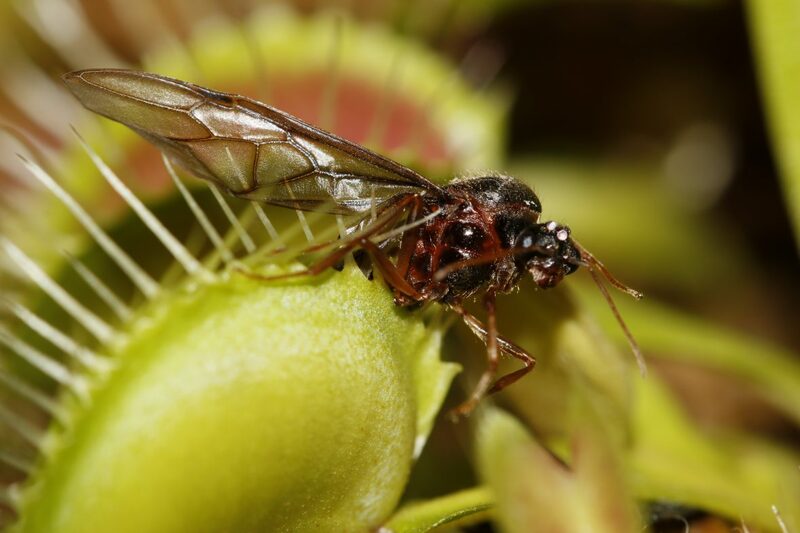 Many of us often think that growing Venus Fly Trap in Singapore is very challenging but it is actually not.ONLY if you are growing SGVenusFlytrap! What make SGVenusFlytrap so special?Did they go through any special training? YES! SGVenusFlytrap are bred locally in Singapore via Plant Tissue Culture.Plant Tissue Culture allowed Venus Flytrap to grow rapidly through 10-15 generations within a short period of a year!Traditionally, Venus Flytrap can only go through 1-2 generation by division per year!This allows the plants to adapt better to our warm weather! To grow a SGVenusFlytrap successfully in Singapore, there are only 2 key things to keep in mind. Every living things need water to survive, so do SGVenusFlytrap! Venus Fly Traps love water! They like their pot constantly soak in a tray of water.Not to be worry about how much to water,for all the Venus Fly Trap will come with a plastic cup that fit perfectly to the pot.This allow a fuss-free experience when watering your Venus Fly Trap.You do not have to worry about mosquitoes breeding or water over flowing from the cup!So all you have to do is to fill up the cup to 70% of the cup and refill when the water level is low. Many may have read that Venus Fly Trap need distilled water and rainwater.But that is actually not necessarily. Singapore Tap Water is very safe for venus Flytraps as they contain very low concentration of minerals! Sun is the main source of energy for a Venus Flytrap to grow more and bigger traps to make you happy! Venus Flytraps are Sun loving plants! They can take direct Sun for the entire day without any problems but you have to make sure they have water in their cups!But minimally, you are advised to give Venus Flytraps 3 hours of direct sun.But if you give more SUN, the plant will grow faster!So you can leave your Venus Flytraps by a window with just morning or afternoon sun and they will be growing happily and begin hunting those annoying Insects! Feeding is optional as Venus Fly Traps are also plants,which means that they can still photosynthesis.So don’t worry Venus Fly Traps do not die even when they did not catch any insects.However, if you want to feed, you can always catch small insects that can feed into their traps.It is advised to feed 1 trap every 2 weeks.If you happened not to be able to catch any insects, you can feed your traps with bloodworm too! Feeding will boost their growth and you will have an adult Venus Fly Trap very soon! So what happened if my place do not have sun and I still want to grow Venus Flytraps?Does that mean I cannot grow Venus Flytrap anymore? NO! With my in dept research I carried out over the past few years, you can still grow them very well with a LED set up that I customized! This LED Growlight is designed with a specific wavelength that optimized electricity and yet giving out light energy that is truly required by Venus Flytrap! Many modifications and experiments carried out by me over the years had allow you to grow Venus Flytrap beautifully without any sun! LED GROWLIGHT has been tested by many growers and here are some updates by them! Venus Fly Trap LED Growlight come in various length to suit your needs! Whether to grow at home or even your office table!